ANKARA, Jun 8 2015 (IPS) - The results of the Turkish elections of Jun. 7 have put an end to the suspense that has dominated national politics in the past three months. For the first time in this Asian republic’s history, a Kurdish party has succeeded in being elected to the legislature, with an impressive 15 percent of the seats available. The breakthrough of the People’s Democracy Party (HDP) has radically changed the political landscape of Turkey, as it has come at the expense of the ruling Justice and Development Party (AKP), which has been in power since 2002. AKP has regressed in the latest contest by nine percentage points, from 49.8 percent in the 2011 elections to 40.86 percent. The other two main contenders, the Republican People’s Party (CHP) and Nationalist Movement Party (MHP) have retained their electorate, with MHP making a small gain over the previous general elections. Of the 54.8 million qualified voters, 47.5 million cast their ballots, representing a participation level of 86.6 percent. AKP received 40.86 percent of the votes, CHP 24.9, MHP 16.29 and HDP 13.12 percent. The ceasefire [between the PKK and the Turkish government in 2013] disposed the Turkish civil population more favourably towards the Kurds than in past decades. This gave the opportunity for the creation in 2014 of a Kurdish political party, HDP, whose aim is to enter national politics through the main door – the Parliament. AKP remains the largest political formation, but the loss of parliamentary seats to the newcomer HDP steals its privilege of legislative majority. The Turkish Grand General Assembly is composed of 550 deputies. Pending the final official results, due to be announced in 11 days, AKP will have 258 seats, CHP 132 and MHP and HDP 80 each. HDP’s performance is quite remarkable, considering that it won 6.1 million votes out of an estimated 9 million total Kurdish voters. Kurds are the largest ethnic minority in Turkey, with 15 million people out of a total of 77 million Turkish citizens. Their past, under the Turkish republic formed in 1923, has been turbulent, as they have not been recognised as a minority by the Constitution. Their attempts to obtain civic rights, including the use of their own language, were violently oppressed, intermittently, in the 1930s and from the 1970s onwards. As a reaction, in 1978, the more combative elements of their society formed the Kurdistan Workers Party (PKK), an activist organisation which, together with its People’s Defence Forces (HPG) paramilitary wing, engaged in armed conflict with the country’s security forces from 1984 until 2013, when a ceasefire was agreed on the basis of a negotiated peace process with the government. The peace process has had ups and downs, but no agreement has been reached so far. Over the past 30 years, the conflict has cost 40,000 lives among security forces and PKK fighters. PKK is considered a terrorist organisation by Turkey, the United States and the European Union. But the ceasefire disposed the Turkish civil population more favourably towards the Kurds than in past decades. This gave the opportunity for the creation in 2014 of a Kurdish political party, HDP, whose aim is to enter national politics through the main door – the Parliament. 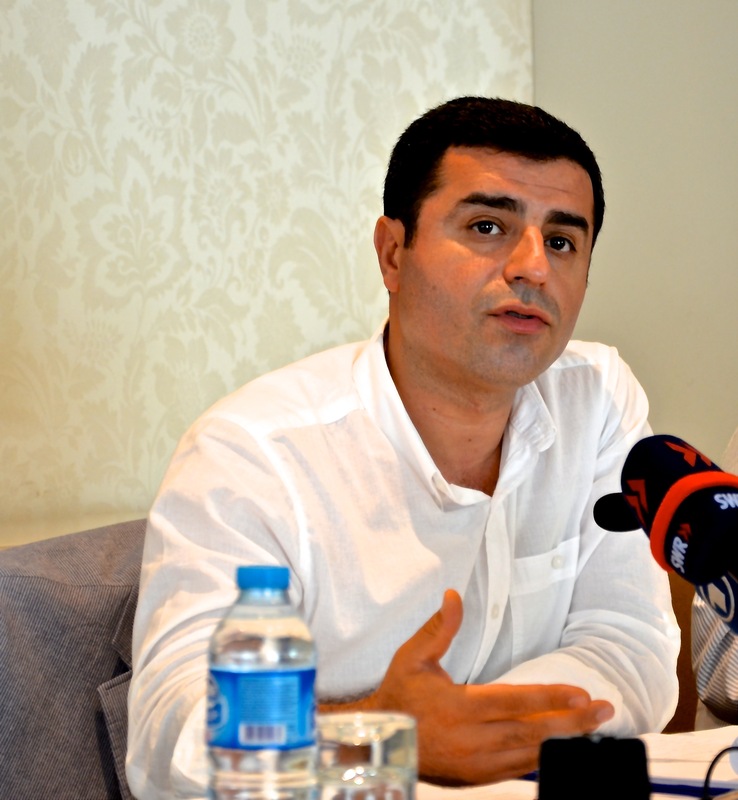 Its co-leader along with Figen Yüksekdağis, is a 42-year-old lawyer, Salahattin Demirtas, who participated in the presidential elections of August 2014, just weeks after creation of the party. Although he only received 9.76 percent of the votes, he won the hearts and minds not only of Kurds, but also of many of the underprivileged of the country – women, unemployed, homosexuals, artists, Yazidis, Rom, Syriacs, Christians and Jews – and of those who have been disappointed with either the AKP or the opposition CHP. HDP presented 268 women candidates in the elections, while AKP only listed 90. So the clear winner of these elections is Demirtas, whom The Guardian has labelled the “Obama of Turkey”, and who has been seen in the past weeks by many as the “Tsipras of Anatolia”, in reference to the equally young and unconventional winner of the Greek elections earlier this year, Alexis Tsipras. The verdict of the Jun. 7 polls indicates that the campaign of the ruling AKP did not convince a large part of its own electorate, because 9 percentage points lost represent an 18 percent voter decline in comparison with 2011. The absolute number of losses nears 3 million votes. These have grossed the gains of both MHP and HDP. The campaign, which mobilised huge masses of AKP followers, considerable funds and the support of public agencies and government resources, such as state television, was led simultaneously by incumbent prime minister Ahmet Davutoglu and President Recep Tayyip Erdogan in person. Erdogan is considered the most charismatic and energetic leader modern Turkey has had since its founder, Mustafa Kemal Ataturk. In principle, such a heavy artillery should have guaranteed a resounding triumph for AKP. In his numerous rallies, Erdogan had exhorted the population to “give him 400 seats” in the parliament, an extremely optimistic expectation. But Erdogan had been elected president in the 2014 elections with 52 percent of the votes, and overconfidence prevailed within the party. This probably backfired at the last moment among moderate Islamists who resent exuberant and over-assertive leadership behaviour. Erdogan’s objective in these elections was to secure at least 367 MPs. This would have given him a free hand to have the Constitution changed by AKP representatives alone. The line of retreat was 330 seats, which would have still enabled Erdogan to call a referendum for the change. The 258 seats now obtained fall even short of the 276 threshold for having a majority in order to run the government. The scope of a new Constitution was to approve the adoption of an Executive Presidential regime, which would grant Erdogan full control over state affairs on a daily basis. The current Constitution, introduced after a military coup in 1980, limits the presidency to a ceremonial role. Erdogan’s vision for a presidential system has certainly been frustrated, but a careful study of his personality leads to the belief that he will pursue his aspirations, albeit with their achievement being somewhat postponed. AKP, having obtained the highest number of votes, will be asked to form either a coalition or a minority government, provided that at least one of the opposition parties commit to supporting it in the parliament. The only likely candidate for this is MHP, an ultra-nationalist formation with strong Islamic membership, which grants it a common denominator with AKP. But MHP has repeatedly affirmed that it will never concede to a presidential system. However, in Turkish politics ‘never’ does not always imply what it appears to mean. An alternative to the above scenario is a coalition among CHP, MHP and HDP, totalling 292 MPs. This is rather unlikely, especially because of the anti-Kurdish ideology of MHP’s constituency. Moreover, coalitions have historically failed in Turkey, so a new one would be a recipe for instability. In either case, the president will be the sole judge for accepting or rejecting the solution proposed by the parties. If there is no successful proposal within 45 days, a new election will be held in the following two months. If a coalition or minority government is formed, its life span will be short, considering Turkey’s present realities. The economy is in decline, foreign direct investment and exports have dropped sharply since the beginning of the year, and foreign relations with Middle Eastern neighbours, the European Union and the United States are problematic. The Istanbul Stock Exchange opened on Monday with a 6 percent loss, while the Turkish lira declined by 4.5 percent, bringing the total depreciation of the currency in respect to the U.S. dollar to 19 percent since January 2015 and to 45 percent in 18 months. In spite of Sunday’s results, which came as music to the ears of 60 percent of Turks and proved a good degree of democratic maturity, no one seems to be euphoric. Officials from the different parties consulted confirmed that their respective headquarters are already working on preparations for the replay of the electoral match – to be held most likely in October.